The laundry is one of the hardest working rooms in your home, so it’s essential that this space is efficient, well functioning and of course, stylish. While your laundry should be a priority, it can seem unnecessary to dedicate an entire room in your home to a few appliances, some detergent and dirty clothes. Here are three ways you can transform a small, unused space in your home into a fully functional laundry. Tucked away inside a cupboard, behind closed doors, a hidden laundry can be an excellent way to maximise space in your home. 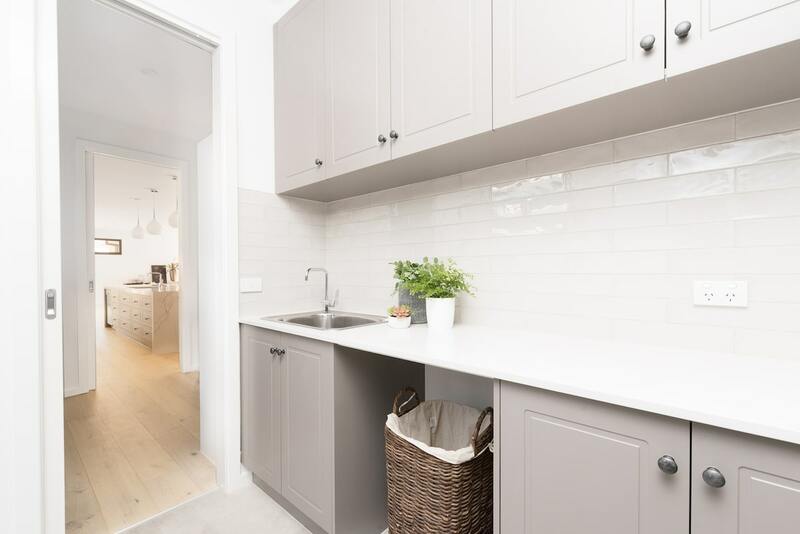 Whether it’s an unused cupboard in your hallway, or a vacant space within another room of your home, this style of laundry allows you to have everything without it being in plain sight. To make the most of a small space like this, it’s a good idea to invest in a washing machine and drier duo that can be stacked. Modern day front loaders can often be placed underneath your drier or underneath a bench to maximise space. Ensure that your cupboard dimensions will fit your appliances and check that there’s room to open the machine doors when the laundry is being used. Employing vertical storage is also integral. Add high wall shelves and clever cupboards next to, above and between appliances to ensure you’re making the most of all space. Also consider investing in compact, folding washing baskets that can be easily stored when not in use. Why not add a laundry to a room with an existing water supply and waste lines? Incorporating a laundry into your bathroom or kitchen will save you a great deal of money and leave you more to spend on functional modern appliances. These days, washers and driers are no louder than your kitchen dishwasher so noise is not an issue and pull down screens or stylish DIY curtains can be used to hide away appliances if you prefer. The added bonus of having a laundry within a bathroom means your family will have no excuse for leaving clothes on the floor post shower – they can be thrown straight into the machine. Originally an American concept, mudrooms are now common in Australian homes and are the perfect place to include a laundry. A mudroom, essentially a multi-purpose utility room at the entrance of your home, varies in size but even the smallest can be renovated to include all your laundry essentials. 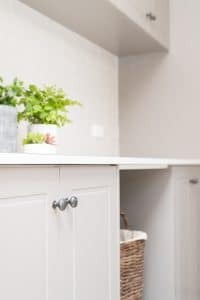 More than just a room to leave your shoes and outdoor gear, your mudroom can include an airing cupboard to store linen; pull out storage; cupboards for cleaning products; fold down benches and even a ducted drying cupboard to dry clean clothes out of sight. The best part of having a laundry in your mudroom is that dirty clothes don’t even need to come into the house – they can go straight in the washing pile. Turning a small space into a laundry is a very real possibility if you carefully consider the layout of your home. Think about everything you want your laundry to include and plan to have a place for it all. It’s all about thinking smarter and making the space you have work for your needs. 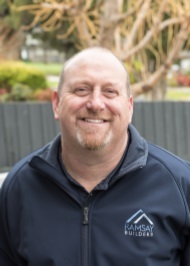 Ramsay Builders can help reinvent even the smallest space in your home. Get in touch today to find out more.